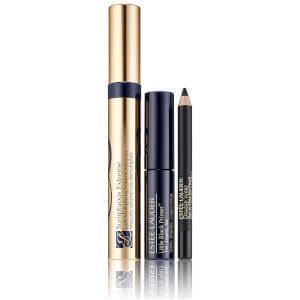 Create luscious lashes and achieve brighter, younger-looking eyes with the Estée Lauder Extreme Mascara Set; a limited edition collection of the brand's favourites. With an Extreme Bold Volume™ formula, the mascara is a blend of three high volume fibres and prismatic pearls for amplified colour and lustre. Flexible bristles carry maximum formula, whilst solid bristles deliver clump-free definition for a fuller, longer look in just one stroke. Ophthalmologist tested. Fragrance free. 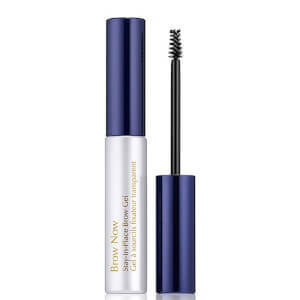 A lightweight formula that works quickly and gently to remove powder eyeshadow and other eye makeup, including mascara. 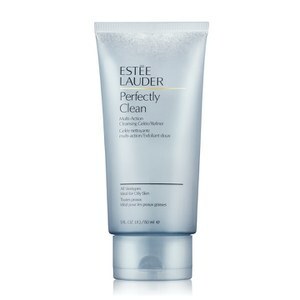 Easy to apply, the oil-free formula effectively sweeps away impurities without oily residue or rubbing. 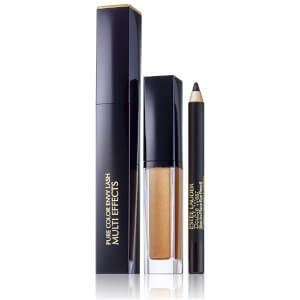 Makeup can be reapplied immediately after use. Ophthalmologist tested. Suitable for contact lens wearers. Specially formulated to tackle the visible impact of lack of sleep, UV rays, pollution and blue light, the lightweight gel-cream treatment absorbs quickly to deliver brightening and hydrating properties. The supercharged eye cream with 10X Concentrated Repair Technology helps to reduce the look of puffiness, lines and dryness for a radiant, refined eye contour area.